Eight mouthwatering handmade free range chicken dumplings with fresh ginger and coriander. Match with rice and Chinese vegetables or add to Asian style soup for a hearty dish. Perfect as an after sport snack for the kids. Impress friends with a flavoursome appetiser at your next dinner party. 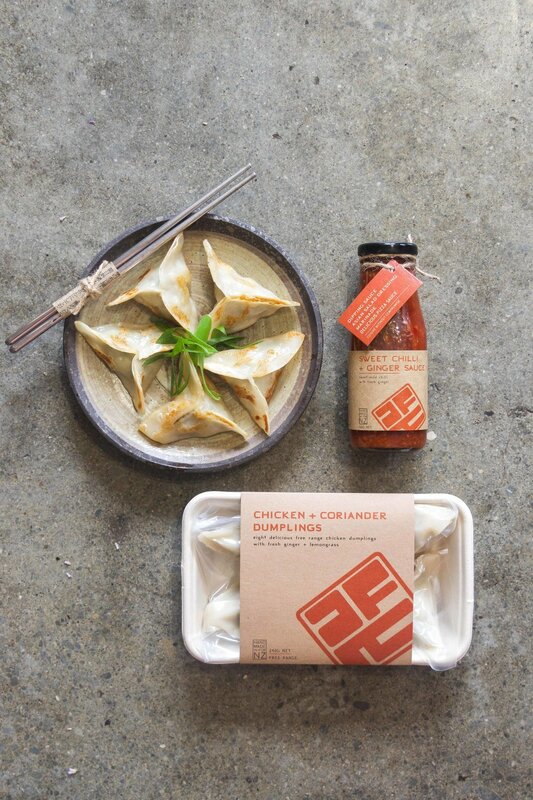 Our dumplings are even tastier when paired with our Sweet Chilli + Ginger sauce. Contains soy and gluten. May contain traces of milk, sesame, nuts or eggs. Check with your local stockist.